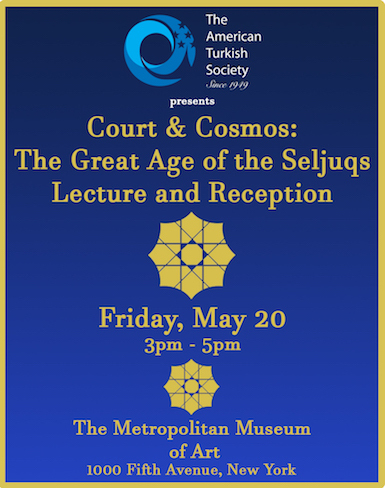 Join us for a private reception and lecture on the special exhibiton, Court and Cosmos: The Great Age of the Seljuqs. This event includes an hour long private lecture on the exhibition given by YSL Class of 2012 and Assistant Curator of Islamic Art, Dr. Deniz Beyazit, which will culminate in a reception. For more information on the exhibiton please click here.